Sushant Singh Rajput’s love story with Sanjana Sanghi has a new title. The film has been renamed from ‘Kizie Aur Manny’ to ‘Dil Bechara’. Saif Ali Khan reportedly joined the team of ‘Dil Bechara’ in Paris to shoot for a cameo. 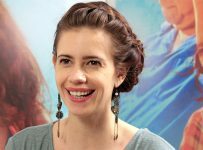 The film will mark the directorial debut of casting director Mukesh Chhabra, who was caught in the #MeToo controversy. The shooting for ‘Dil Bechara’ was stalled by producers Fox Studios. Only after his name was cleared, the film’s shoot resumed. ‘Dil Bechara’ is a Hindi remake of 2014 Hollywood release ‘The Fault In Our Stars’. The film is a story of a 16-year-old cancer patient, who falls in love with another cancer patient. 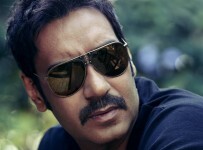 Ajay Devgn shifts Golmaal 4?